4 days T.O.P (Law Enforcement) - APPLY NOW! 3 days T.O.P (Law Enforcement) - APPLY NOW! Can’t find what you’re looking for? 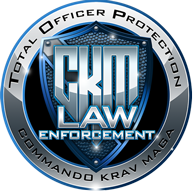 Try checking out our Commando Krav Maga Bootcamps for a complete foundation in the world’s fastest-growing reality based self-defense system.